Opening Day is finally here. In the past we usually are fighting snow or really cold weather for the home openers but these days in MI the weather has been pretty great. So if the Spring Time bug has bitten you get out and see a game!!! 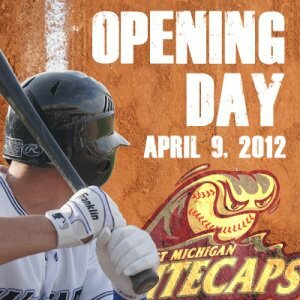 The West Michigan Whitecaps are opening the season up against the Bowling Green Hot Rods on Monday April 9, 2012 with Fireworks! !